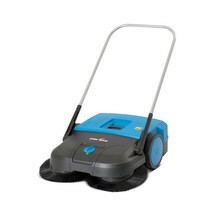 The Steinbock® Turbo Premium manual sweeper impresses with its patented turbo sweeping system with double dirt pick-up for perfect cleanliness on all paved surfaces. 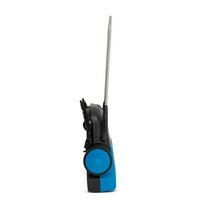 The cleaning device is available with different sweeping widths. 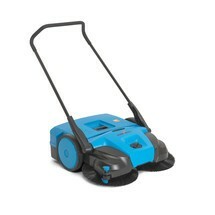 The Steinbock® Turbo sweeper impresses with its patented turbo sweeping system with double dirt pick-up for optimised cleanliness on all paved surfaces. 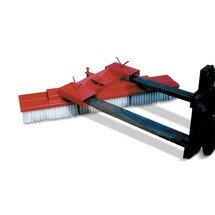 The broom for fork lifts and wheel loaders is attached to the forks via the fork entry pockets. 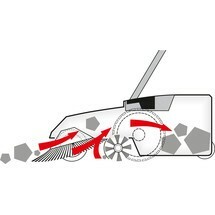 Since the broom can be adjusted twice on both sides, you can adapt it to the debris as necessary.